We’re braving the best of Britain’s mountains! We are super excited to announce that on Saturday 9th June a team of brave (mad?!) Vetoquinol employees will be wandering round Scotland, waving compasses and shouting at each other supporting each other as we climb Britain’s three highest peaks in 24 hours in aid of the phenomenal Medical Detection Dogs charity. Medical Detection Dogs train medical alert and bio-detection dogs to sniff out the odour of human diseases. 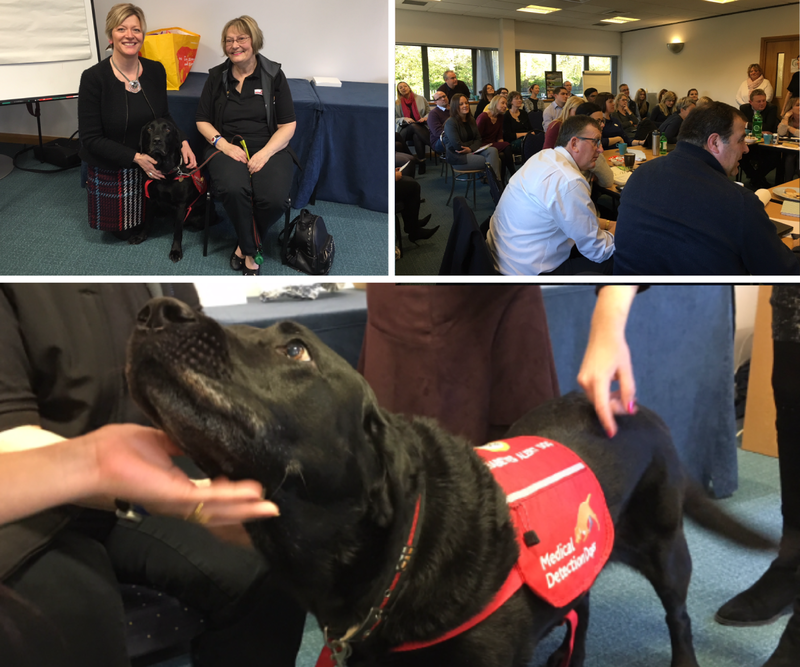 We recently invited Medical Detection Dogs to our head office and were completely inspired by a talk from diabetes sufferer, Carolyn Gatenby, accompanied by Simba the black Labrador, during which Carolyn explained how having a medical detection dog has changed her life, giving her independence and confidence that she couldn’t have had without him. As a company that is passionate about improving human lives through our dedication to animal health, we can’t think of a more worthy cause to be supporting and over half of our employees have signed up to the challenge as either supporters or climbers! This will be a complete team effort, with volunteers for driving, cooking and moral support just as essential to the challenge as those who are going up the mountains. We are looking forward to getting to know each other very well during this experience (the good, the bad and the ugly!) and really can’t wait!